…Is usually “Hello” in disguise. 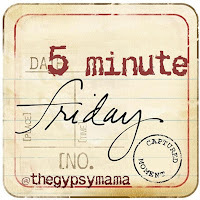 This week, 5 Minute Friday has become a 5 minute Saturday. I’m gonna write for 5 minutes, no overthinking, no major editing. Just writing for the love of writing (and the love of the prompt :o). This week’s prompt was Good-bye. Things have been happening in my life and I am realizing that just because you have to say goodbye to someone, something or a certain situation, doesn’t mean things are over. Quite the contrary actually. Usually, it means there is a new beginning happening. And that new beginning means it’s time to say “Hello”. Though I rarely look forward to change, to those little (and big) goodbyes, I am learning to look at them not as goodbyes, but as hellos. Hello to new opportunities. Hello to a new place to live. Hello to a new job. Hello to a new dream. What are your goodbyes allowing you to say “Hello” to?